We are considering putting our home on the market this spring, and I’ve been spending a lot of time browsing the real estate listings to see what is currently available in our price-range. Inevitably this leads to browsing luxury homes that are at least ten times out of my price-range. A girl can dream right? 😉 I love gleaning decor inspiration from mansions and brainstorming ways to create the look for less in my own home! 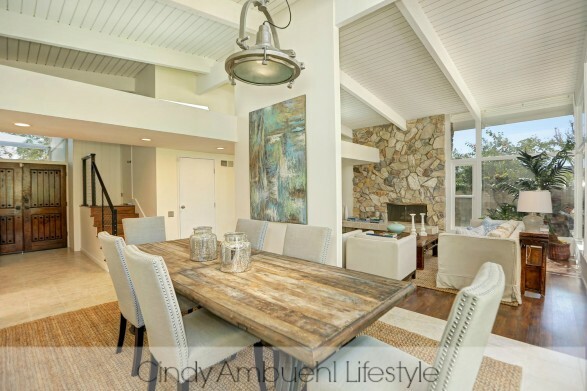 Last year, I discovered Cindy Ambuehl‘s beautiful lifestyle blog and it has remained one of my favorite sources for high-end room inspiration. Cindy is a busy mom to 7 boys (woah! ), a former actress, and works as a real estate agent in Beverly Hills. 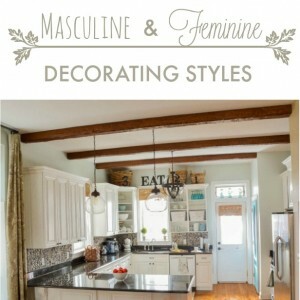 Her site features inspiration from many of her listings and is filled with decorating ideas, home trends, lifestyle tips, and gorgeous spaces. With her permission, I’m sharing some of my favorite neutral decorating ideas found on her site with some of my own tips on how to decorate with neutrals. Tip: If you like a photo, be sure to click the link below the picture to be taken to the original post for more pictures of each home. Decorating with a neutral palette can often feel cold when not enough warm tones and textures are used in the room. 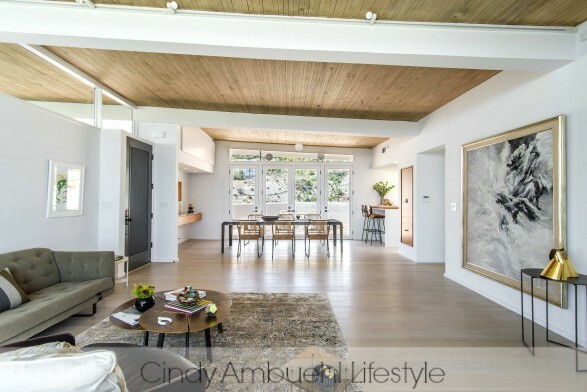 This expansive and modern space feels warm and cozy with the inclusion of the warm wood floors and ceiling. 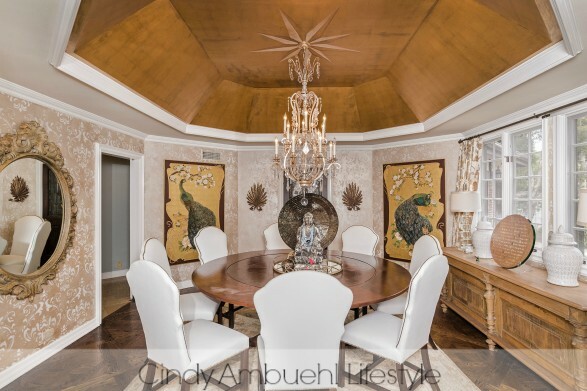 The ceiling is often referred to as the “5th wall” in the home and is often overlooked! If you love white walls, consider adding some texture and warmth to your ceiling to add another layer of interest to your space. Look for ways to add dimension to your ceilings, floors, and walls when decorating with a neutral palette. A neutral paint palette can be enlivened by using a mixture of textures within the space. Stone, shiplap, rustic wood, canvas, sisal, and canvas all work together to add dimension and excitement to a room. Decorating with neutrals outdoors is a foolproof choice that will look beautiful throughout the seasons. Understated grays and driftwood finishes always look beautiful against greenery. Using stone or brick pavers will accent your neutral furnishings and add another layer of depth to your outdoor room. To add drama to your neutral room, don’t forget the bling! Bring in color to your space with gold leafing, copper, gold, and silver. Metallic light fixtures, hardware, and accessories are a great way to spice up an otherwise neutral palette. Wallpaper infused with textured beading, goldleaf, or embossment adds glamour and looks beautiful in a more formal setting such as a dining room. 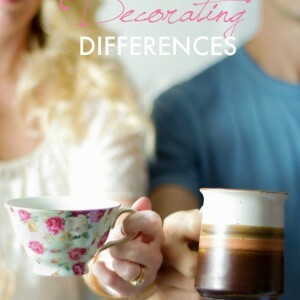 Paying attention to texture is the key to successful tone on tone decorating! If you are repeating the same tones within a space, be sure to use a different texture within that tone to keep the eye moving throughout the room. In the kitchen below, the backsplash, cabinet counter, and flooring are the same tone but each have a different texture. Likewise, the white cabinets, ceiling, and island countertop are similar in color but different in texture which adds to the beauty of the space. When working with dark neutrals, it is best to use light furnishings to add contrast to the room. In the picture below, the rich chocolate walls pop against the creams and whites of the furniture and drum shade. The cream-colored rug also helps to balance the contrast in the room. Using different combinations of fabrics is important in an all neutral room. Shag rugs, animal-print pillows, and ikat chairs in neutral tones will add character and personality to your space. 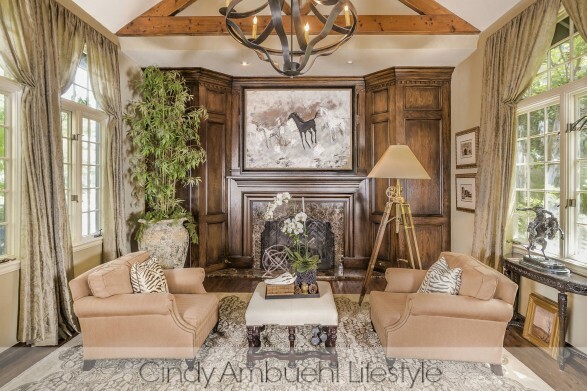 For more decor inspiration, be sure to check out Cindy’s site. She is a true inspiration! Yesterday, Cindy and her real estate company The Agency were sponsors at the annual Express Yourself fundraiser hosted by P.S. Arts. P.S. Arts is a non-profit Los Angeles based organization that brings dance, music, visual & theater arts to underserved public schools. Every November, celebrities and their families attend this fun-filled fundraiser to raise money and awareness for arts education in public schools. As a former elementary school counselor and mom of two, I know firsthand how important arts education is to overall learning! All kids should be given the opportunity to express themselves through the arts. Cindy and Duck Brand couldn’t agree more and yesterday they offered cute Duck Tape crafts for the kids at her Express Yourself booth. During this season of giving, it’s encouraging to see celebrities and their children giving back to their community and supporting the arts! 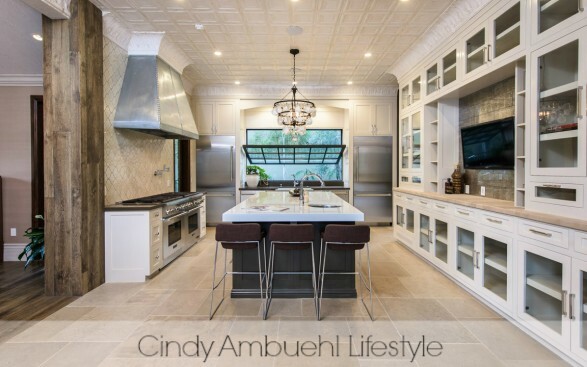 You can keep up with the latest on Cindy and her luxury listings by following her on Instagram, Facebook, and Pinterest. Thanks Cindy Ambuehl for sponsoring this post and allowing me to share your lovely site with my readers! As always, all words and opinions are my own. Having a wood ceiling is really amazing. It gives this “living in a cabin” feeling. Living out in the forest is really nice and it would be great to emulate it in your own home. Thanks for visiting me Shonee! Love the tips and idea on decorating with neutrals. Installing a wood ceiling really caught my attention. I just want to say I am in total awe of that painting in the picture you used for #2! I could only dream of having a painting like that.